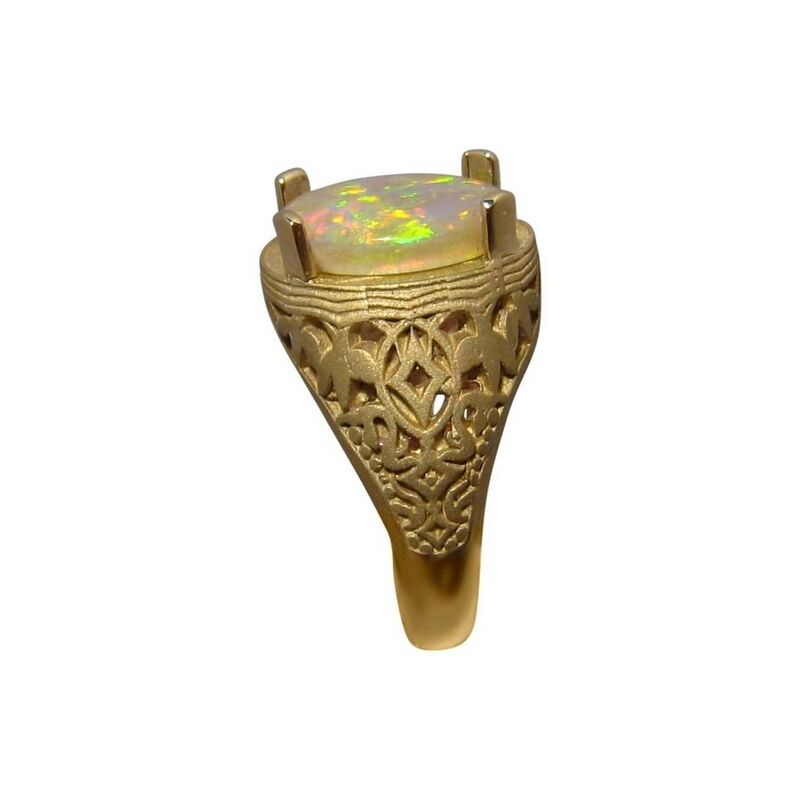 An Opal ring for men with a very bright Opal prong set in a detailed 14k Gold ring. In stock and ready to ship. 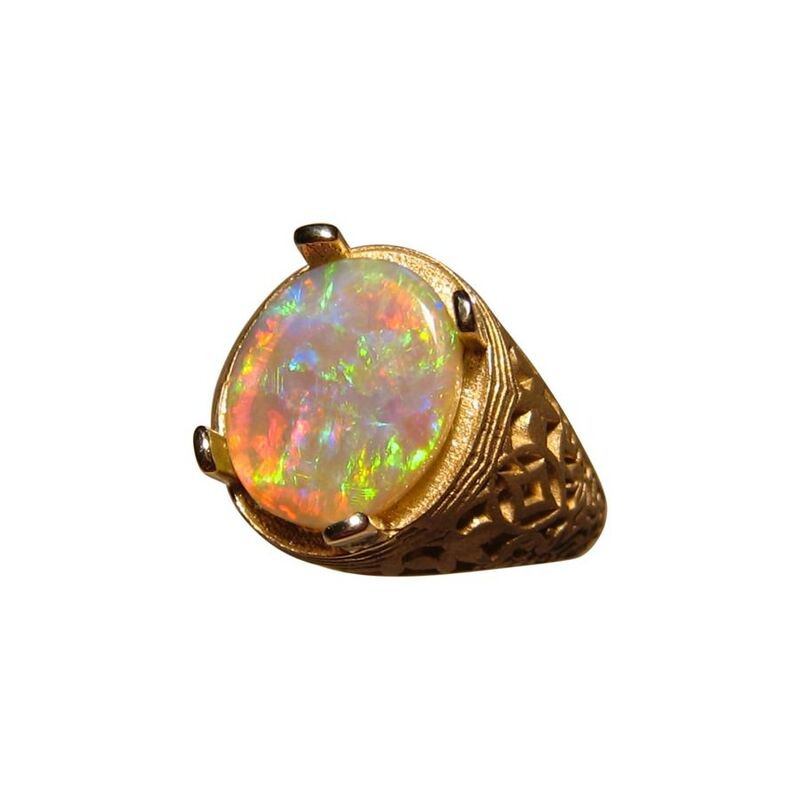 This Opal ring for men is a substantial size and weight making it a quality ring for the discerning man. 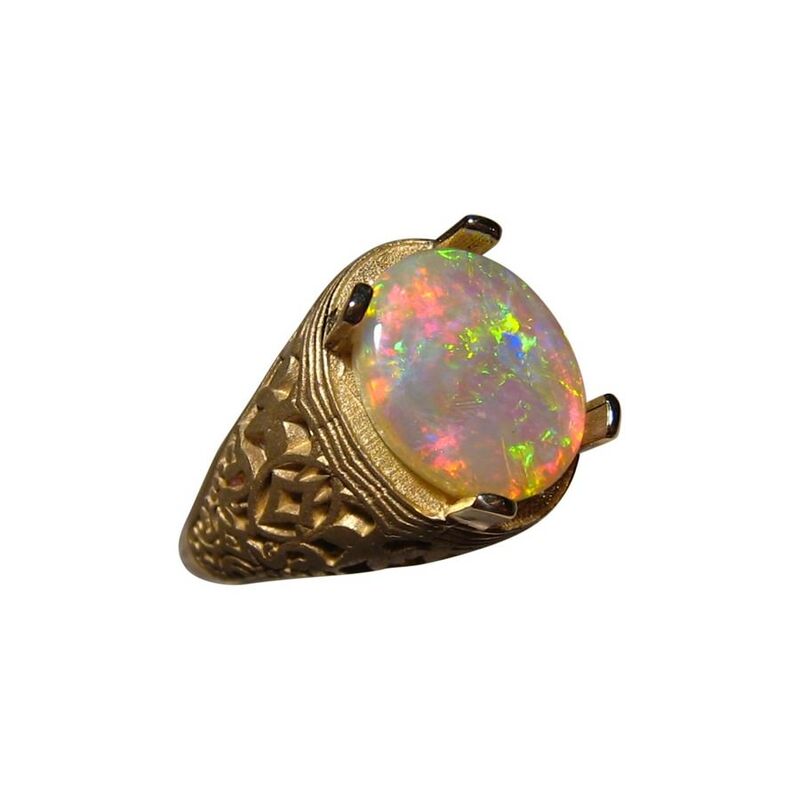 The ring is prong set with a Lightning Ridge Crystal Opal that weighs 2.75 carats and displays a fantastic mix of colors that are very bright. 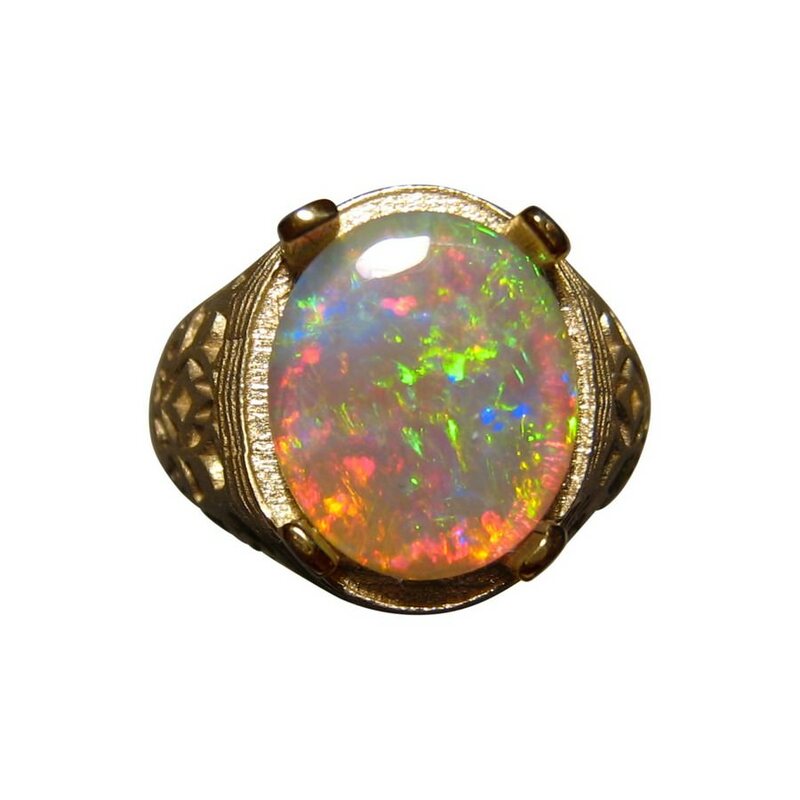 The Opal is almost round in shape at 12x11 mm and the video below below will show the play of color and indicate the brightness better than the images. 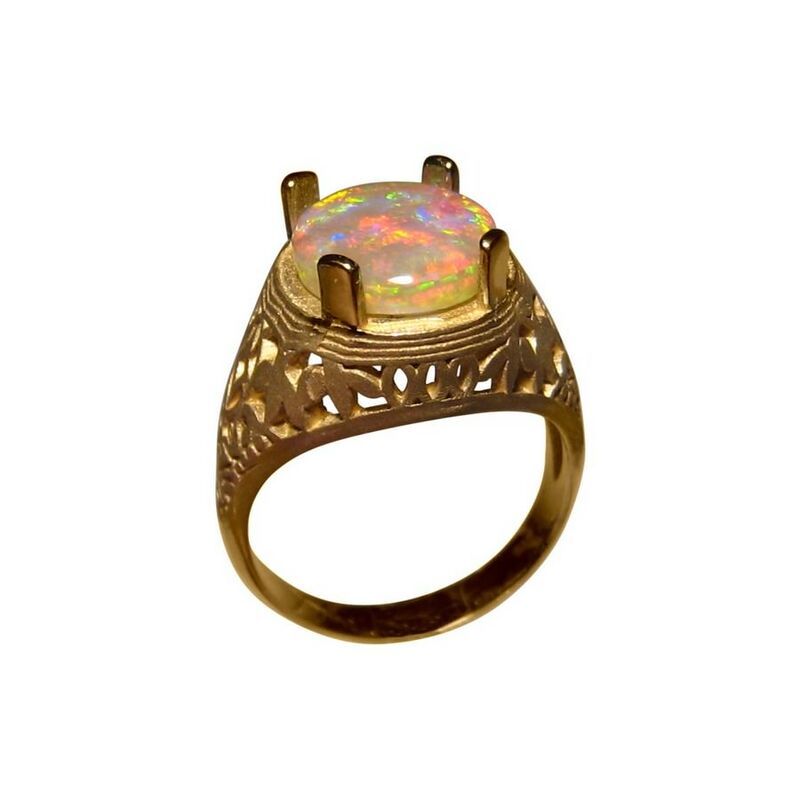 The Opal is prong set in a 14k Gold ring, shown in Yellow Gold, with a detailed shank that is matte Gold and the band finished with a high polish but as the Opal is not yet secured, the ring can be made in White or Rose Gold and can be all matte or all a high polish. 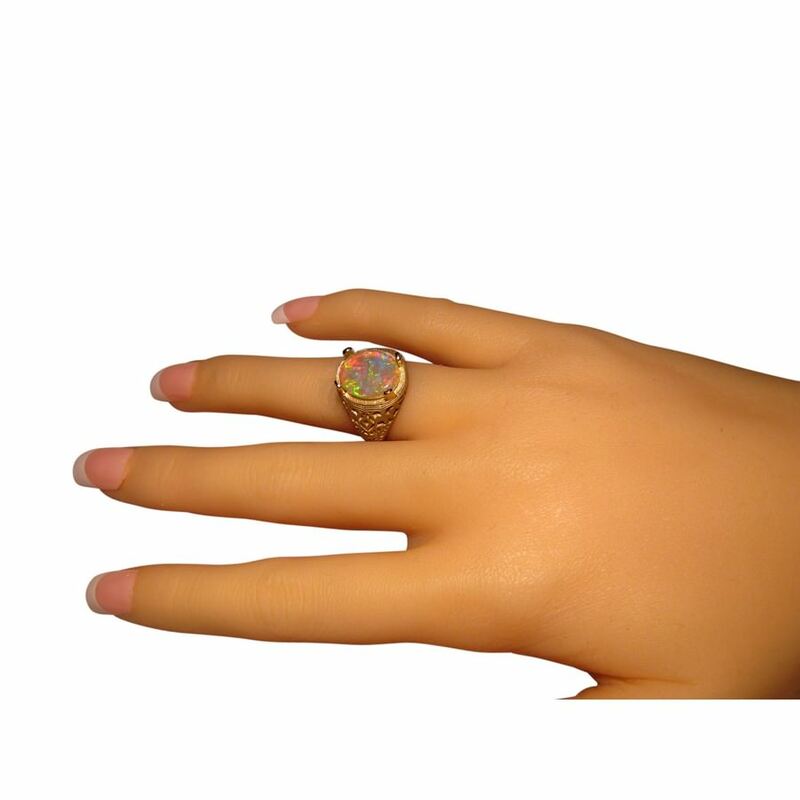 It is ready to ship now as detailed below or will take about one week to make in any other ring size or Gold color.